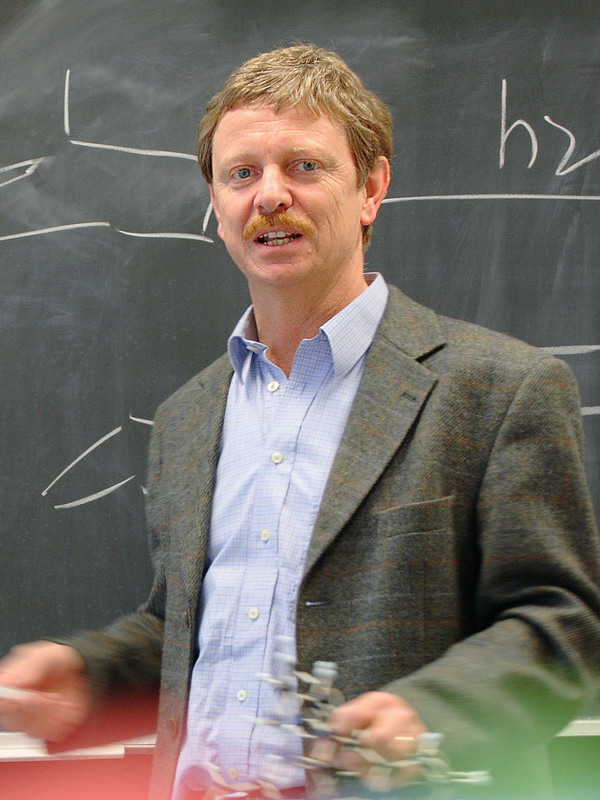 The organic chemist Professor Rainer Herges of Kiel University (CAU) has been awarded the Nozoe Lectureship. 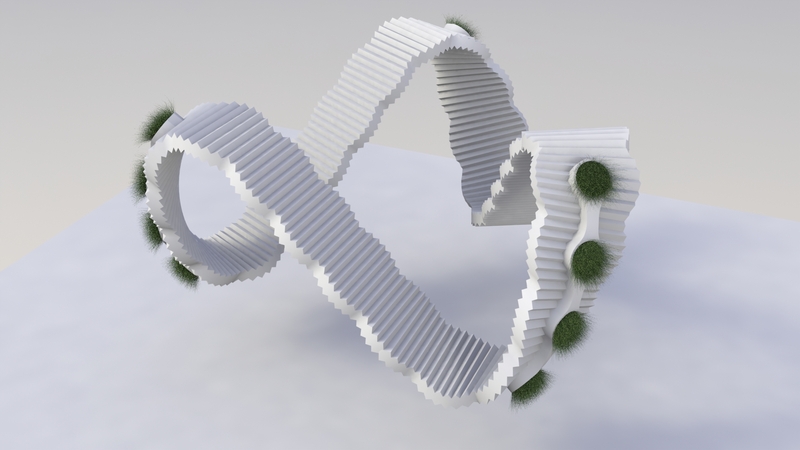 Herges is awarded the international prize for the first production of a molecule in the form of a so-called Möbius strip – a loop looking like a band that has been glued together with twisted ends. Thanks to its special quantum mechanical properties, such a twisted 3D molecule could play an important role in developing powerful quantum computers, for example. Every two years, the International Symposium on Novel Aromatic Compounds (ISNA) honours scientists for ground-breaking fundamental research into the chemistry of aromatic compounds and their applications for organic semiconductors, light emitting diodes (OLED), photovoltaic or other nanomaterials. Back in 1858, the mathematicians Johann Benedict Listing and August Ferdinand Möbius independently described a mathematical object for the first time, which you can imagine as a twisted loop without a front and back, or top and bottom. For a long time it was considered impossible to produce molecules with this shape, because the properties of the single-twisted or triple-twisted structures contradict the basic rules of chemistry. In addition, the twisting is unstable. It was only a chemical trick that enabled Herges and his team to give the molecule a stable twist. For this, they drew on an everyday observation: in order to relieve tension and to remain stable, twisted bands such as telephone cables wind around themselves. “For our Möbius molecule we worked with three spiral-shaped, stable components, similar to those of the DNA double helix”, explains Herges. Around 15 years ago, he succeeded in putting them together in the right combination to form a Möbius molecule. Since then, these molecules have been an integral part of organic chemistry. Recently, he even achieved the synthesis of a triply twisted band. Herges sees potential applications for such molecules due to their extremely strong electrical ring currents. It is suspected that they are caused by irradiation with a short laser pulse. As with superconductors, these currents circulate without electrical resistance along the virtually endless Möbius strip. In addition, these structures are chiral, meaning that they exist in two states, like an image and its reflection. The current can therefore flow in a clockwise or counter-clockwise direction. This property is ideal for so-called „quantum bits“ – binary codes that could store information in quantum computers. Scientists and the computer industry have already been researching and pursuing their development for several years. ”Quantum computers do not work physically as before, but on the basis of quantum mechanical states. They could thus far exceed the performance of classical digital computers in future,” according to Herges, spokesperson of the Collaborative Research Centre (CRC) 677 “Function by Switching“. Here, around 100 scientists are investigating the development of switchable molecular machines, which are controllable by external stimuli such as light or temperature. „I am delighted with this award, and the recognition of my work. It emphasises the value of fundamental research, and shows that investments here are worthwhile in the long term. It is rarely possible to foresee which developments will come from fundamental research findings, because the potential applications often come from unexpected directions,“ said Professor Rainer Herges. Herges has been Professor of Organic Chemistry at Kiel University since 2001, and spokesperson of the Collaborative Research Centre (CRC) 677 “Function by Switching’’ since 2006. He will receive the award on 21 July 2019 during the 18th International Symposium on Novel Aromatic Compounds (ISNA-18) in Sapporo, Japan, and deliver a lecture on the occasion. The award is named after Professor Tetsuo Nozoe (1902-1996), founder of the ISNA and one of the fathers of organic chemistry in Japan. Caption: Professor Rainer Herges will be awarded the renowned international prize Nozoe Lectureship for developing a molecule in form of a Möbius strip. 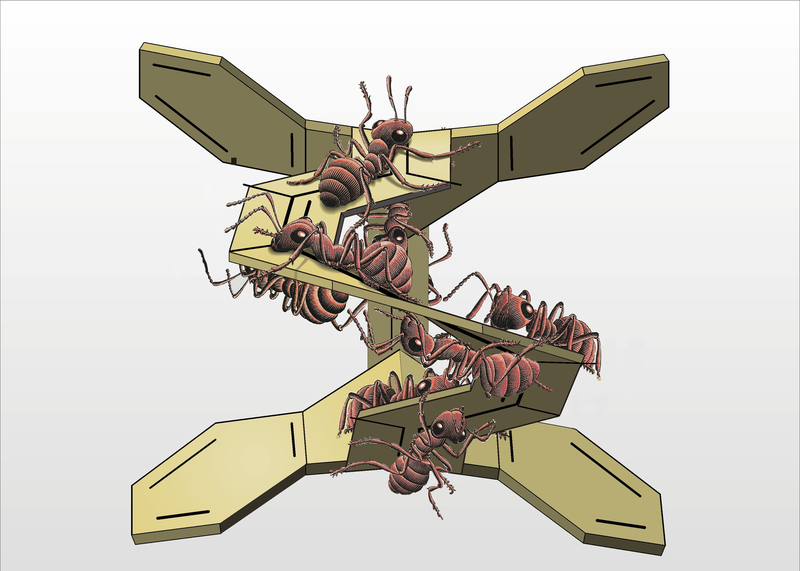 Caption: A recreation of the work of the graphic artist M. C. Escher: Like the famous model the crawling ants show the infinity of the surface of the molecule.